We have just introduced new the new graphical interface of the buildings, it is not perfect but it is a base to build a better game. We are working hard on improvements to the alliances, in the next few days we will gradually introduce all the improvements we have created for the alliance plus a update for the chat that solves the errors we have found so far. We updated the chat to version 2.0. 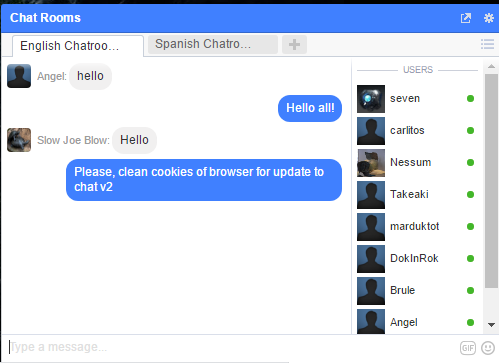 This version comes with a new interface and many improvements that will make the chat go much faster and more fluid. In addition, the mobile version of the chat comes with many improvements, so that now chat from the mobile version will be much better. These days we will respond to all the support tickets that are pending and we hope to solve any problems quickly.